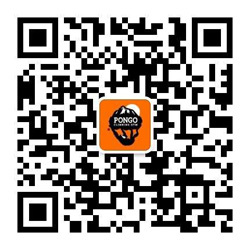 PONGO Climbing Gym is one of the few climbing gyms in Shanghai, China that specializes in bouldering. We are the only climbing gym in China that have walls designed by IFSC (International Federation of Sport Climbing) Route Setters. And the majority of our holds have been imported from Europe. At PONGO, there are over 100 boulder problems for all abilities, with new problems set each month. We provide a clean & comfortable environment for climbers of all levels to enjoy & experience the great sport! Our name PONGO comes from the genus name for orangutan. Orangutans spend nearly all of their time up in trees and are the best evolved climbers out of all the great apes making them natural born climbers. Come to PONGO and find your inner monkey!